On an African safari, if you saw the "Big Five," you'd have photos of elephants, lions, rhinos, buffalo, and leopards to show the grandchildren back home. Likewise, China has its own list of "Big Five" attractions. China is a large country with a long history so, of course, there's much more to see than just these spots, but it's nice to set an attainable goal. So for those of you who want to see China's essentials but are short on time, here's an itinerary that includes the "Big Five" sights every first-time visitor to China should see. You'll check these five sights off your list when you've finished this tour. 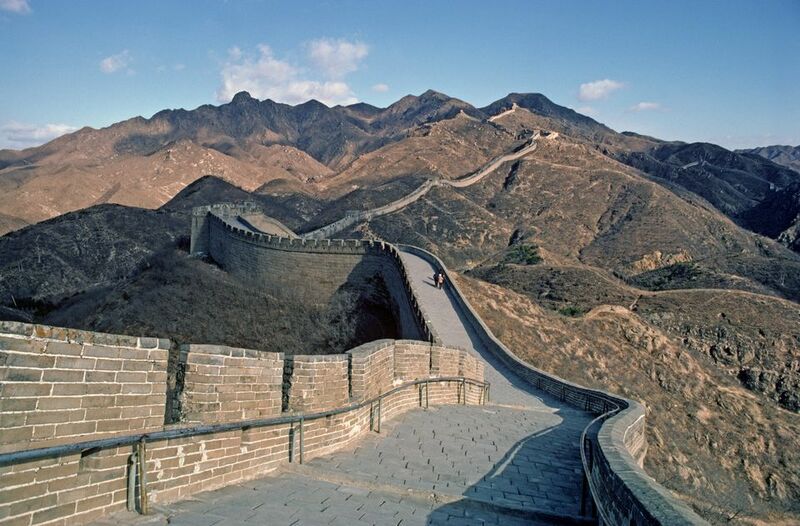 The Great Wall: The interconnected walls span 5,500 miles of China and were built during different dynasties over thousands of years. Sections of the wall near Beijing include Simatai, Jinshanling, Mutianyu, and Badaling. The Forbidden City: The red walls of this palace once housed Ming and Qing emperors for centuries but now contain nearly one million imperial treasures. The Terracotta Army: These stone warriors guard the burial site of Emperor Qin Shi Huang. Discovered in 1974, this is now a UNESCO World Cultural Heritage Site. Yangtze River and the Three Gorges Dam: Relax on a river cruise where you'll see the Shibaozhai Temple, a 12-story, 18th-century structure built without using nails. The Bund: Shanghai's most famous landmark is a great place to stroll along the waterfront, dine outdoors, and enjoy live music. Dilemma: You're dying to visit China but only have a few days to take in all the country has to offer. How can you fit it all in? Well, that's not possible, but with this itinerary, you can see China's "Big Five" sights in 10 days. Day 5: Fly to Chongqing, then board a Yangtze River cruise ship. Whoa, hold on. It's great to know you can get so much out of China in so little time, but there are some things you'll need to do before you go. Get your travel documents together. You'll need a current passport and proper visa for visiting mainland China. With this itinerary, because you're not rambling off in the wild, there's not much danger of contracting any infectious diseases; however, you should still do some precautionary health and medical reading. Your ATM and credit cards are probably all you'll need for covering your expenses, but familiarize yourself with money matters so you won't have any unwanted surprises. If you have a choice, book your trip for late April, September, or October (after the National Day Holiday on October 1st, which are the best times to visit China. Read about the weather in China so you'll know what to expect...and what to pack.